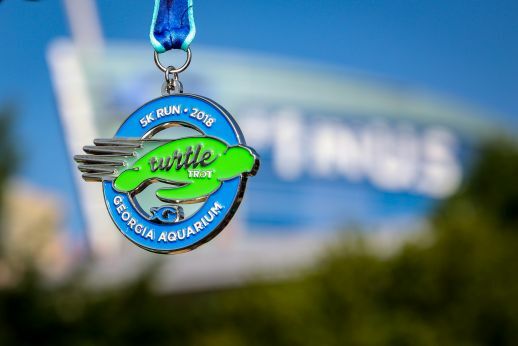 Georgia Aquarium’s annual Turtle Trot 5k is back for its second year! 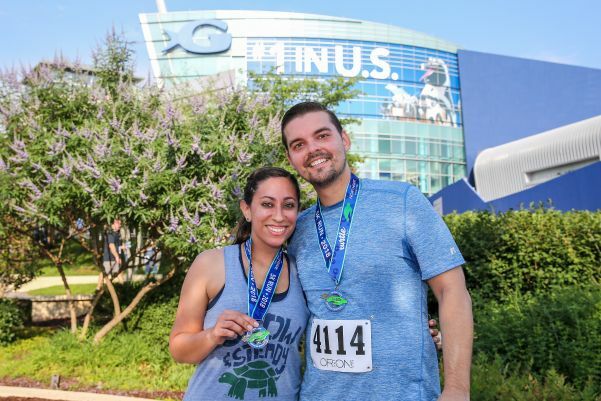 Whether your motivation is to get in shape or make an impact on aquatic animal conservation, join us on June 1 as we run, jog and walk for our one world ocean. 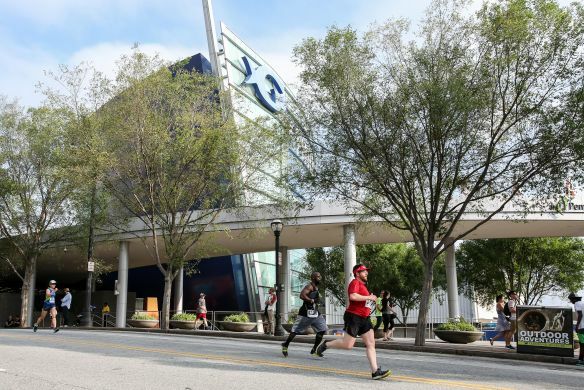 The Turtle Trot will take place in downtown Atlanta and is perfect for beginners and seasoned runners alike. Registration includes a collectible t-shirt, a finisher’s medal, runner’s hospitality and a sponsor fair at the end of the race. 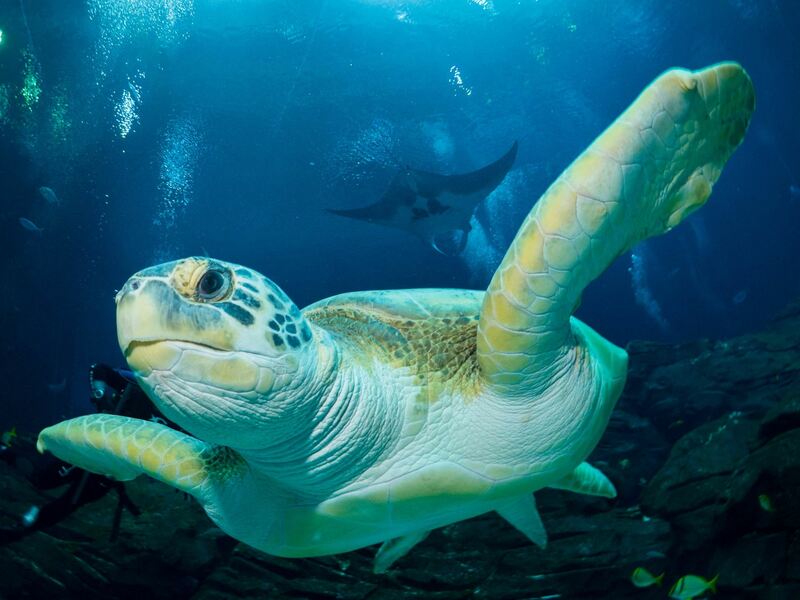 Runners receive the additional benefit of $10* off a General Admission ticket to Georgia Aquarium throughout the month of June! 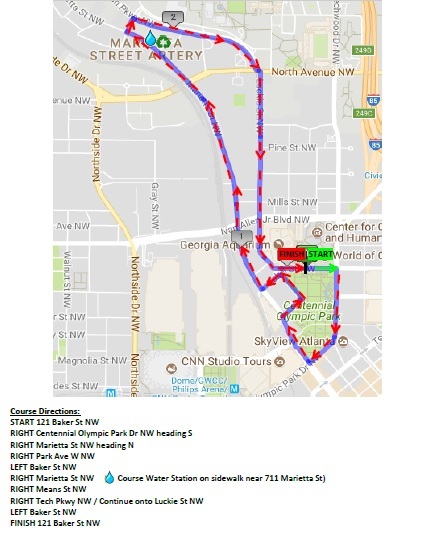 The event will begin and end at Pemberton Place, giving participants easy access to Georgia Aquarium, World of Coca-Cola, Centennial Olympic Park, and more. Children may participate in the 5k run, so long as they complete the course at the minimum pace of 20 minutes per mile. There will also be a free Toddler Fun Run 50-meter dash for children ages 0-4 who may not be ready for a full 5k run. 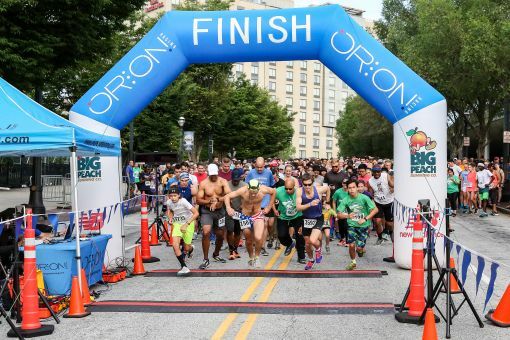 The 5k’s top male and female finishers from each age group will receive one general admission ticket to Georgia Aquarium. The top male and female finishers in the Masters age group (40+) will win an up-close animal encounter for two (valued up to $130). 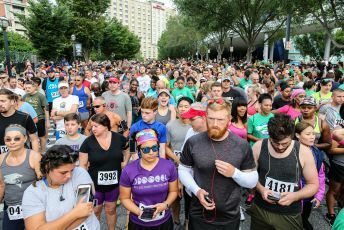 The top overall male and female finishers will win an up-close animal encounter for two (valued up to $130) and a Big Peach Running Co. gift card! 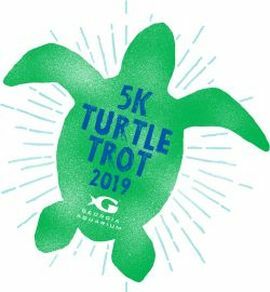 All proceeds from the Turtle Trot go towards Georgia Aquarium’s research and conservation programs that directly benefit aquatic species, including sea turtles. Sign up today! 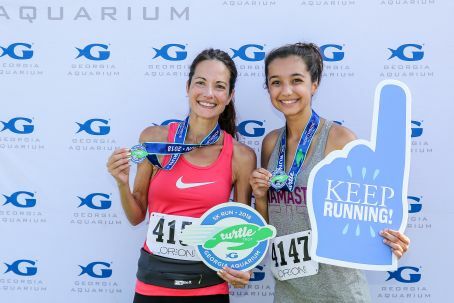 Present your Georgia Aquarium Turtle Trot race bib for $10* off General Admission any day in June! 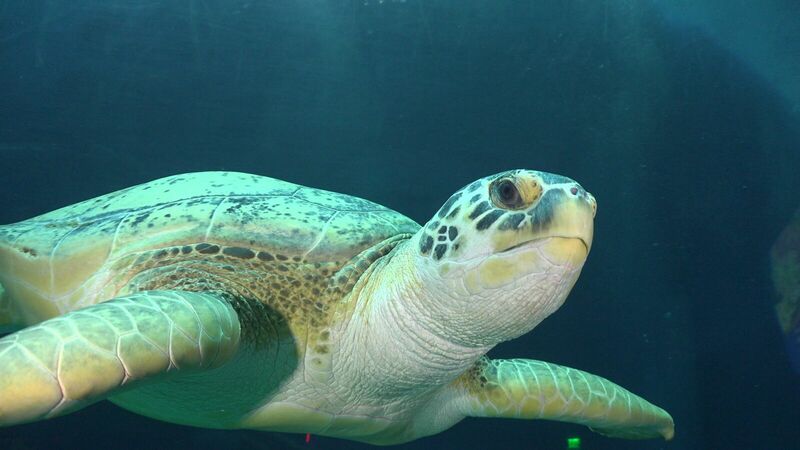 *Discount applies to regular full-priced walk-up admission only. Cannot be combined with any other discount or offer including Early Bird and Imagination Nights. Cannot be redeemed online or via the Call Center. One discount per race bib. One time use only. Valid June 1 - 30, 2019. Parking is located at the Georgia Aquarium and World of Coca-Cola Parking Decks. 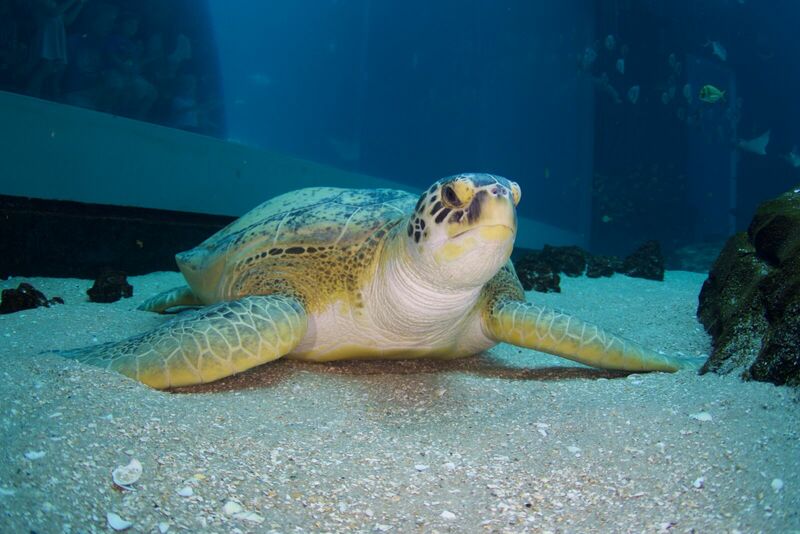 Those parking in Georgia Aquarium’s parking garage will receive a discounted rate of $5 per vehicle. Online Registration CLOSES Tuesday, May 28 11:59PM. Late registration will be available at packet pickup on Thursday, May 30 and Friday, May 31, as well as race day beginning at 6:30AM. First Place Male & Female Overall, Masters, and Age Group Winners will be awarded. ***No dogs, service animals only. No refunds, transfers, or deferrals.